During wartime, crew swaps allow a steady stream of rested and capable fighter pilots to rotate into the fight. 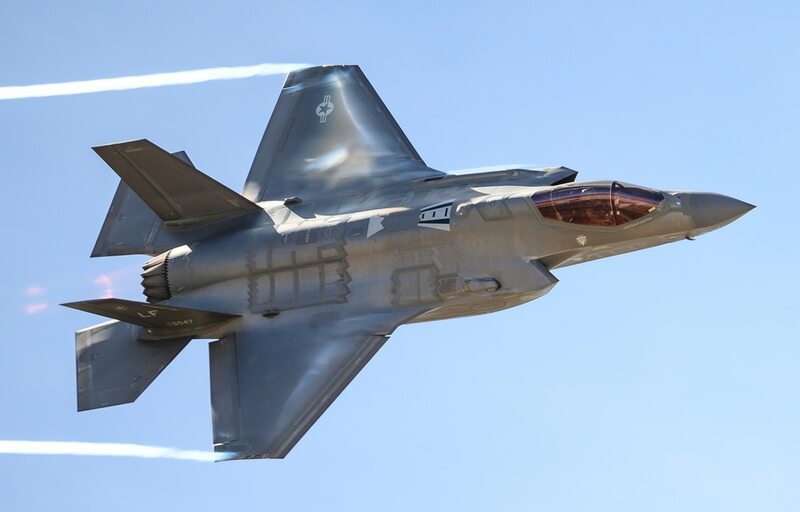 And while the crew swaps could help cut down on maintenance work, problems with the F-35′s next-generation maintenance software reportedly linger. Aircrew with the 388th Fighter Wing out of Hill Air Force Base, Utah, performed what they call “hot crew swaps” for the first time, Air Combat Command announced Wednesday. “Other aircraft like bombers, tankers, helicopters, and twin engine fighters have been doing ‘hot crew swaps’ for some time. Until now, it hasn’t been safe to do with a single engine fighter, but the F-35’s maintenance-friendly design provided Airmen here an opportunity to develop this capability,” Col. Michael Miles, 388th Maintenance Group commander, said in an ACC news release. Rapid crew swaps will potentially reduce the time it takes to generate a new sortie by up to two hours, according to 1st Lt. Ryan Naluai, assistant officer in charge of the 421st Aircraft Maintenance Unit. Think of the F-35 as the “quarterback of the joint team," and not simply another stealth fighter, the Air Force chief of staff said Tuesday. Three full F-35 squadrons are eventually planned to fly out of Hill AFB, according to the ACC release. The rapid crew swaps will help during peacetime, as the Air Force works to condense sorties into shorter periods of time, keeping the flightline moving. The F-35 program oscillates between good and bad news. The crew swaps are the positive end of the spectrum, while news that the Autonomic Logistics Information System, or ALIS, is still not working as intended sits on the negative end. ALIS is the F-35′s next-generation software designed to detail maintenance issues on the jet. Maintainers plug the ALIS into the aircraft to diagnose performance issues and streamline the process of identifying replacement parts. 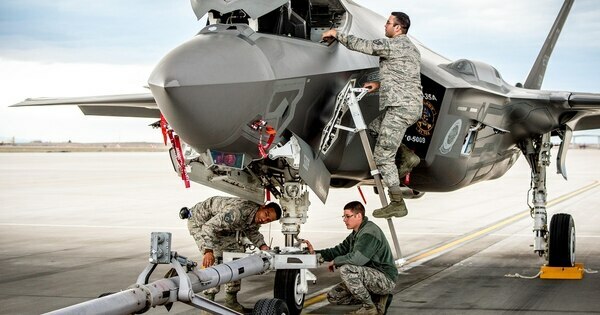 While the system has been advertised as a game-changer in aviation maintenance, “it does not yet perform as intended,” the Pentagon’s operational and live fire test office said in its 2018 report. Air Force Chief of Staff Gen. Dave Goldfein was unconcerned when asked about the cannon’s accuracy by reporters. “Given what we built the F-35 to do, I’m not sure the gun is what we should focus on,” Goldfein said at a Brookings Institute event in February. “When we talk about fifth-generation, stealth is actually only a small part of that. … It’s about information fusion."